This vividly imagined and detailed epic about two giants of the 19th century is the product of over a decade of work; Hijuelos was still revising the manuscript up until his untimely death in 2013. In his late teens, the author became captivated by Sir Henry Morton Stanley and his extraordinary trajectory from a poverty-stricken Welsh orphan to a world-renowned explorer; Hijuelos also discovered that Stanley had a friendship with Mark Twain. Using third-person narrative, letters, and journal entries (all fabricated), and by bringing in Stanley’s wife, the painter Dorothy Tennant, as a foil between the two men, the author brilliantly breathes life into Victorian times. Particular focus is paid to Stanley’s early life in America, and an entirely concocted journey he took to Cuba with Twain in search of Stanley’s adoptive father and namesake. Stanley, formal and somewhat rigid, though certainly erudite and keen for adventure, contrasts with Twain, the more relaxed and gifted speaker whose humor endeared him to audiences around the world. The author depicts not only the peace of mind the two get from family life, but also their various setbacks—the financial trials beset by Twain and the heartbreaking family deaths he suffered, and the illnesses that plagued Stanley his whole life. Hijuelos’s death is made all the more poignant by an observation Stanley makes in an introduction for one of Twain’s speaking engagements: “Our literature is our legacy, and if there is such a thing as ghosts, literature will be the only verifiable version of them.” How lucky we are to have this rich novel. 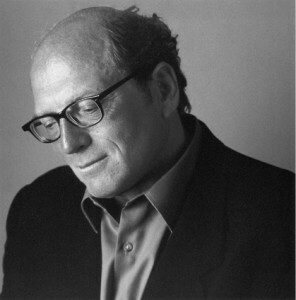 Oscar Hijuelos had a heart attack October 12, 2013, while playing tennis in Manhattan and never regained consciouness. Just before he died, he had completed a 859-page manuscript for a new novel, Twain and Stanley Enter Paradise. His last visit to New Orleans was for Words & Music in 2012. He was here to receive the Pirate’s Alley Faulkner Society’s ALIHOT (A Legend In His/Her Own Time) Award for the second time, this time for non-fiction in recognition of his memoir. Although laid low by grief, his wife, Lori Marie Carlson—whose own new novel, A Stitch in Air, had just been published—was determined that the novel would not be lost to the reading public. She put all thoughts of her own work on the shelf and shepherded Oscar’s book to acquisition. And it is a Fall, 2015 release from Grand Central/Hachette. Lori will present the novel at Words & Music, 2015, at a Literature & Lunch session on October 31st. The event, Channeling Oscar Hijuelos, will be a tribute to Oscar, who was a great friend of the Faulkner Society, as is his widow. When Oscar was here in 2012, without revealing subject details, he discussed the fact that this new novel, which he had been working on for more than a decade, was to be a pretty radical departure for a Cuban-American author, who spent most of his career exploring the lives of Cuban immigrants displaced in the United States. Unlike other Cuban-American writers—he resisted being aligned with any political stance on the Castro regime in Cuba. Nevertheless, he came grips in his previous novels with the issues of displacement. He dealt with these issues, uniquely for a Cuban American, with a purely American approach and phrasing. Sir Henry Morton Stanley of “Mr. Livingston, I Presume…” fame. Born in New York in 1951, Oscar Hijuelos was the son of José Hijuelos, a hotel worker, and Magdalena Torrens, a homemaker. Both of his parents had immigrated to the United States from Cuba. Hijuelos attended public schools in New York before entering City College. He received his bachelor of arts degree in 1975 and a masters degree in English and writing in 1976 from City College. One of his instructors in the creative writing program was lauded short-story writer, Donald Barthelme. After leaving the university, Hijuelos secured a position as an advertising media traffic manager at Transportation Display, Inc., where he worked from 1977 to 1984. During that time, he spent much of his free time writing short stories. Some of the stories were eventually published in the Best of Pushcart Press III anthology in 1978. One of his first professional works, Columbus Discovering America, received an outstanding writer citation from Pushcart Press in 1978. The exposure from this award led to an Cintas fiction writing grant and, in 1980, a Breadloaf Writers Conference scholarship. Hijuelos also received grants from the Creative Artists Programs Service in 1982 and the Ingram Merrill Foundation in 1983. His first novel explores the life of a Cuban immigrant family in America during the 1940s. Published in 1983, Our House in the Last World provided Hijuelos with an outlet to examine his feelings about his Cuban heritage. Critics praised the novel as a warm and vibrant depiction of the family’s experiences in America and noted that the work reflected a departure from other Cuban writers who often focused on the political struggles in Cuba or life in exile. In 1985, Hijuelos received a creative writing fellowship from the National Endowment for the Arts, largely on the strength of the acclaim for Our House in the Last World. In 1989, Hijuelos published his second novel, The Mambo Kings Play Songs of Love. Described by Thomas Mallon in The New York Times as “a propulsive ballad of Cuban-American fraternal machismo,” this novel centered on the lives of two brothers, Cesar and Nestor Castillo, who moved from Havana to New York at the beginning of the 1950s. The two men formed an orchestra, wrote the music that brought them the title of the Mambo Kings, and appeared with Desi Arnaz on the popular I Love Lucy television show. The New York Times remarked that “the novel paints a portrait of the brothers, their families, their fellow musicians, and lovers,” while it brought to life the sights and sounds of an era in music previously unsung. The Mambo Kings Play Songs of Love received considerable praise from reviewers. Bob Shacochis of The Washington Post Book World described the novel as “exhilarating and exuberant and passion-rocked,” while Michiko Kakutani of The New York Times found it to be “street-smart and lyrical, impassioned and reflective.” The novel was nominated for a National Book Critics Circle Award in 1989, as well as the National Book Award from the National Book Foundation. One year later, on the basis of this novel, Hijuelos became the first Latino writer to win the Pulitzer Prize for fiction. While critics lauded the novel, Hijuelos’s depiction of several real people in his narrative resulted in a highly publicized lawsuit. Gloria Parker, who was the leader of Glorious Gloria Parker and Her All-Girl Rumba Orchestra, brought a $15 million libel suit against Hijuelos and his publisher, alleging that her reputation had been ruined by the novel. The lawsuit was regarded as an important test case because it involved a work of fiction rather than nonfiction. 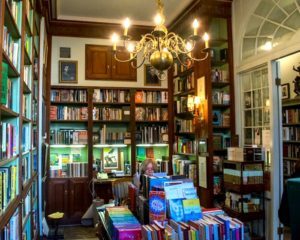 In 1991, a federal district court in New York dismissed the case, arguing that it was unlikely that the average reader would think the novel defamed Parker. The novel addresses the struggles of immigrants as they reconcile the contrast between the culture of their past and the culture of their future, a struggle Hijuelos knew only too well. Born in New York to Cuban parents, his own cultural experience was confounded by his light skin and blonde hair due to his Irish great-great-great grandfather. His identity as a Cuban-American was then splintered by his lack of a more traditional Cuban complexion. Simply put, he just didn’t look the part. Hijuelos addressed these experiences and others in his book, Thoughts Without Cigarettes, released in 2012. In this well received memoir, Hijuelos told how winning the Pulitzer was both wonderful and terrible and continued a theme from his youth where his image, or lack thereof, as a Cuban American writer was put on a stage for criticism. The novel was later turned into a film starring Armand Assante and Antonio Banderas. In 2005, Hijuelos adapted the novel for the stage and the musical opened at the Shubert Theater in New York in July of that year. Hijuelos wrote six other novels: The Fourteen Sisters of Emilio Montez O’Brien (1993), Mr. Ives’s Christmas (1995), Empress of the Splendid Season (2000), A Simple Habana Melody (From When the World was Good) (2002), Dark Dude (2008), and Beautiful Maria of My Soul (2010). He won the Hispanic Heritage Award for Literature in 2000.